I was super excited to receive the email from Influenster that I was selected to receive the Summer Beauty VoxBox, and even more excited to show you what I got!﻿ This is my second VoxBox, and I am just as happy with the second box as I was the first. The long and short of Influenster is you fill out surveys, earn 'badges,' get sent boxes of samples (mostly full size and for new products,) leave feedback/fill out your survey, and shop the products at reduced rates. Kind of like Birchbox and Julep, but it's entirely free. In my first box, the Love VoxBox, I received a box of herbal tea, a Venus/Olay razor set, Ghiradelli chocolate bar, Kiss Nail Dress, and Truvia Sweetener. 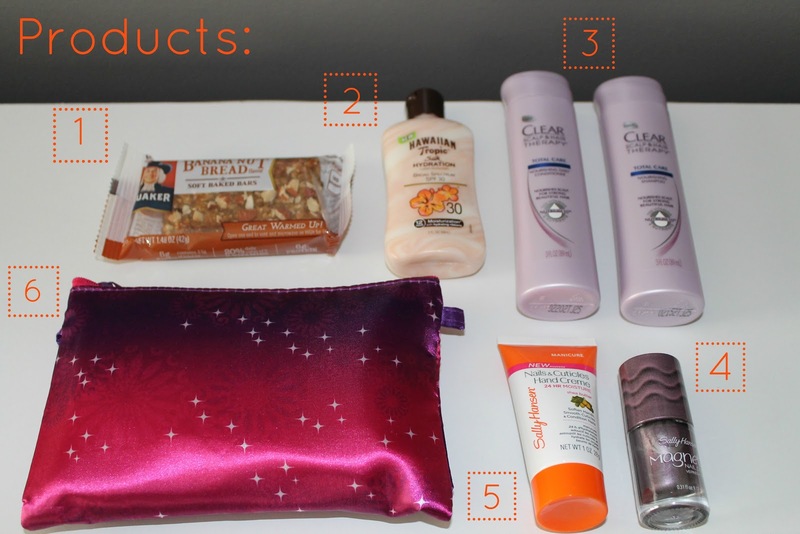 I will admit I was kind of jealous at the Mom VoxBox recently, you can see what they got here. Quaker Soft Baked Bar in Banana Nut Bread | $3.29/package Quaker Soft Bars in Banana Nut are made with real bananas and almonds, with 5g of Fiber, 20% of daily value in 5 B Vitamins, and contain 6g of Protein. I definitely enjoyed the bar and will be purchasing them for quick breakfasts at work. If you visit the Quaker site through the link above you can get a coupon for $.75/box. Hawaiian Tropic Silk Hydration Lotion Sunscreen SPF 30 | $8.99/6oz Silk Hydration Lotion Sunscreen 'nourishes and pampers' skin, while providing UVA and UVB sunscreen protection. Available in SPF 12, 30, and 50. Visit here for a $1.00 coupon. Clear Scalp & Hair Beauty Therapy | $4.99-$5.99/12.7oz This is a new line of shampoos and conditioners that nourish the scalp, considering 99% of hair's natural strength comes from the scalp. I threw these in my travel bag to use when we go away. Sally Hansen Magnetic Nail Color | $9.99 Sally Hansen has finally jumped on board the Magnetic nail trend, even if it is a little late! Available in 8 colors, this nail polish creates 3D effects by holding the (enclosed) magnet above wet polish. Sally Hansen Nails & Cuticle Cream | $5.99/full size This lotion offers 24 hour moisture, even through hand washing! Contains shea butter and leaves hands so soft! Tampax Collection | Prices Vary Yeah, no need to spill details here. You can go here for free samples from Tampax. Now for the giveaway! It's just a little giveaway for now ( I have some bigger ones planned,) but I'm giving away the Sally Hansen Magnetic Polish in 'Polar Purple' and the Sally Hansen Nails & Cuticle Cream. To win, just be a GFC follower and leave a comment below! I'll pick a winner on Thursday, July 12th! Are you signed up for Influesnter? If not, you should be! I'm a follower! Love that nail polish! Darn, I don't use GFC. But I do follow you in my reader. 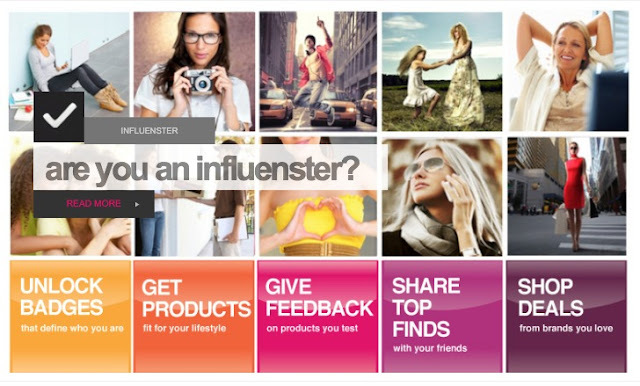 I hadn't heard of influenster, I will have to check it out! Follllllower! ;) Thanks for the chance! Don't know what GFC is but I follow you on blogger!! Crossing my fingers I win! I follow you on GFC. If you haven't enter my giveaway yet you have until Friday.